Victoria BC is world famous for gardens and parks. The city has dubbed and truly deserve to name “The City of Gardens” in Canada. If you are a traveler to Vancouver Island, Victoria downtown is most likely your first stop. 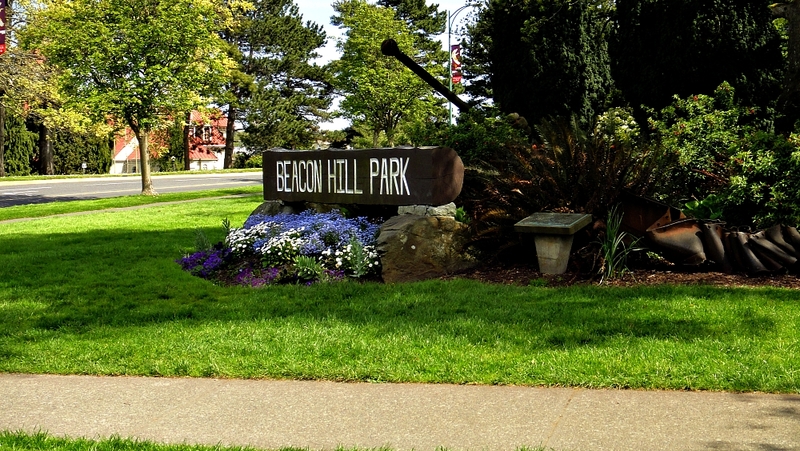 Beacon Hill is the park closest to downtown. 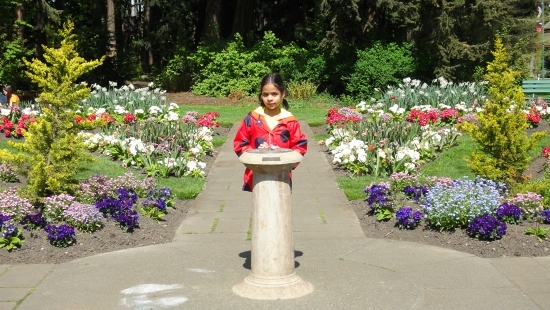 Beacon Hill parks welcome all guests to Victoria. In fact, this is a public park with free admission. 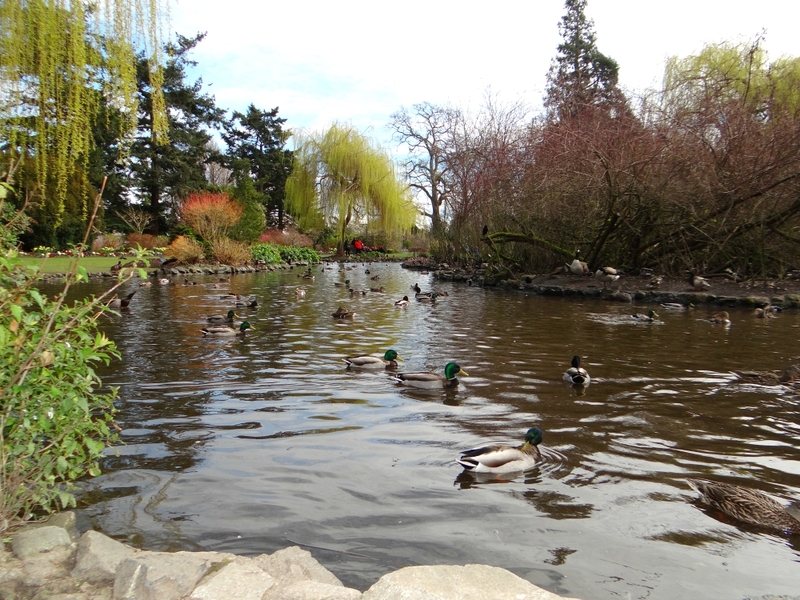 The Beacon Hill park is another Victoria Landmark. So make a point to visit during your stay in Victoria. Walk, take a horse carriage tour in the park or at least drive around before you leave the city. February is the coldest for most Canadian cities. And in February many cities could be still under several feet of snow. 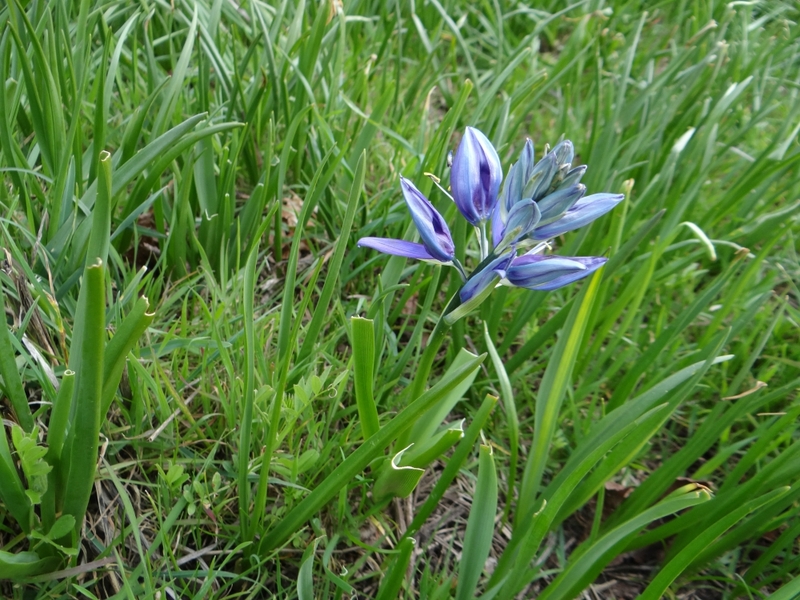 Yet, Spring settles early in Victoria. You see Victoria get painted with colorful flowers, sometimes early as late February. Park is very close to downtown Victoria. It is a 1 km walk from the Museum, IMAX theater and Parliament Buildings. Walk pass Royal BC Museum/IMAX on Belleville street to Douglas street junction. Then turn right and climb up the hilly road on Douglas street. You will then see the entrance to the park. It is a big park, over 190 acres, so there is lot to walk and lots to see. If you are with kids my number one recommendation is to start with the petting zoo. In fact, it is a good central location. Next to the petting zoo, is a car park, so you get to park your car and start your day trip. We visit this park several times a year. 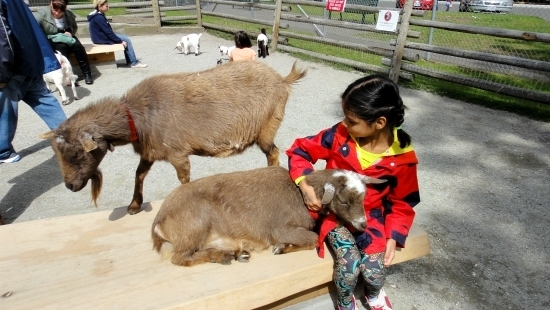 My daughter helped me with adding her experience at Beacon Hill park petting zoo. She wrote this small essay when she was in grade 4. The petting zoo is close to several other interesting spots on the park. It is close to Rose Garden, Sun Dial garden and right at small lakes packed with Canadian mallard ducks and geese. You find hundreds of ducks waiting for your birdseed treats. The other bird that you see in the park will sure to amaze you. It is not a native bird, they are Peacocks. They are tropical birds that made the Beacon Hill park their home. You see them in the petting zoo as well as roaming around freely in the park. Rose Garden and Sundial garden are lovely during the spring and summer months. We often go there for walks. It is a very good day for guided walks and to see all native wildflowers and plants. Going pass Camas meadows toward the sea you can see another Victoria, BC Land mark - One of the world tallest Totem Poles. 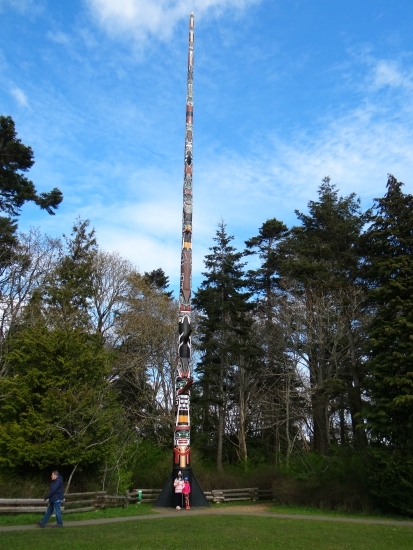 One of the world tallest Totem Poles is located in the park. Many like to snap a picture of this landmark. Are you a fan of Cricket or like to see a Cricket game? You know, Cricket is the national game of UK England. 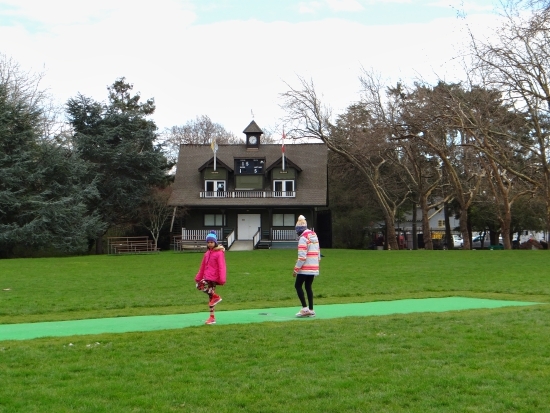 During spring and summer Cricket pitch at Beacon Hill park is a good place to view a Cricket game. Cameron Bandshell is also known as STAGE is a free outdoor performance theater. During the summer and fall, this is a good place for free music, dance, events and concerts. 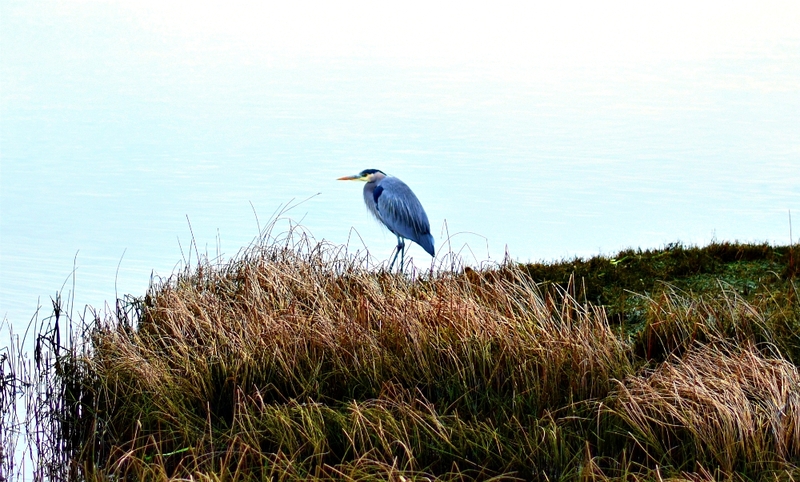 Do you like to see a Great Blue Heron? It is the largest North American Heron. Beacon Hill park is the best spot to see them during their nesting months. 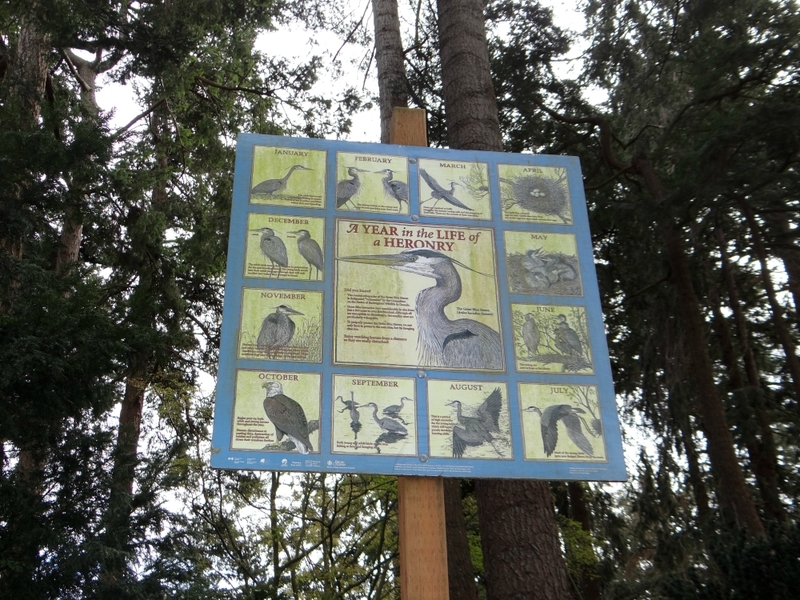 There is a large Blue Heron nesting area located in the park. Here you can take see them. Take photographs of their activities like nest building and feeding young ones. Their enemies are bald eagles. You see them roaming around and sometimes even attacking their nests. 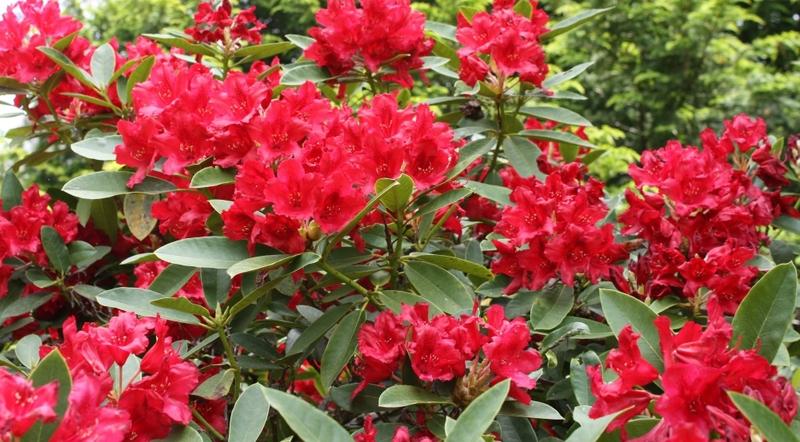 Spring time during the Rhododendron season. 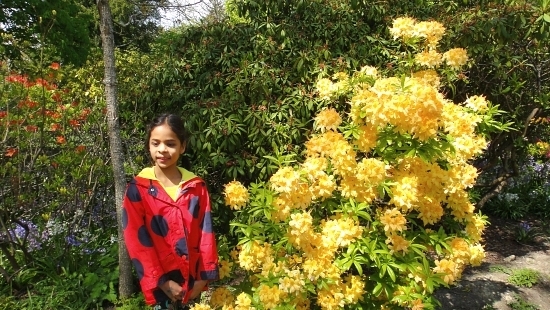 Walk up to the Beacon Hill park’s Fraser Rhododendron collection. You will be amazed to see this colorful collection. This collection is dedicated to George Fraser for his work building the park. Every summer, there are a number of free movies get scheduled to show in the park. Go with a blanket a chair and some snacks for a free movie night. 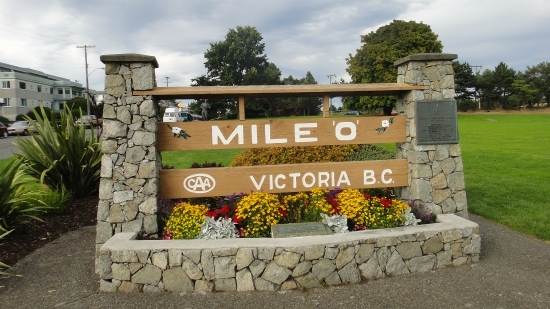 Mile 0 is an important Canadian landmark, located just outside the park. Drive all the way to the end of Douglas street and then Highway 1 to Dallas road intersection. This is the beginning of over 8000km Trans Canada Highway. It runs from the Pacific Ocean on the west to the Atlantic Ocean on the east.